Once you have a D64 disk image uploaded, you can easily add PRG or SEQ files to it. There are a few ways to get a file onto a disk. This article will describe how to add program files (PRG) and sequential files (SEQ - text files) to a disk. One of the neat features of CommodoreServer.com is the ability to upload a single PRG or SEQ file to a disk. 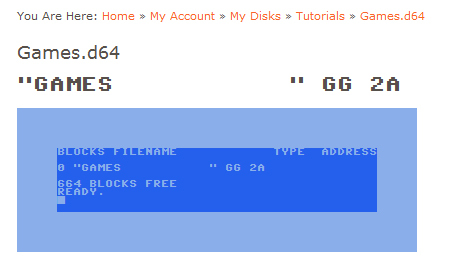 You can upload a plain .txt file and have it show up on a disk as a SEQ file (only file extensions .txt and .seq will upload to a SEQ file) or you can take any Commodore program and upload it as a PRG. Select Your Disk. Under My Disks, select the disk where you want the file. 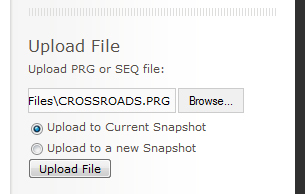 Click on the browse button near the lower-right to find your PRG or SEQ file. Now you have to decide if you want to create a snapshot before uploading. If there is a possibility of corrupting a disk image with your new file, or if you simply want to preserve the original disk before making changes, you might consider using a snapshot. A snapshot is like taking a picture of the disk before uploading. CommodoreServer has the ability to keep a history of a disk whenever you make a change to it. When you have decided, click on the Upload button to send your file to the disk. That's it! 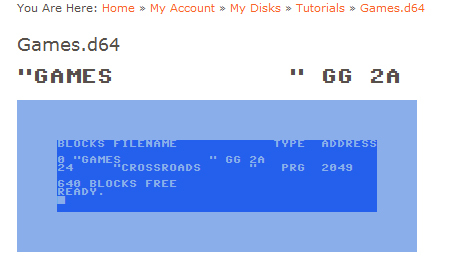 The file is now on your disk and you can download it immediately to your Commodore computer.